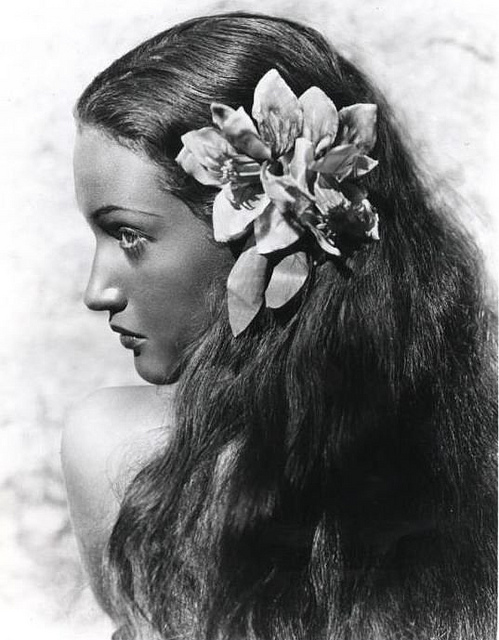 Oriental Spice and some Chocolate > Classic Hollywood Icons > Happy tropical vintage spring! We’re still in the celebration mood. Friday was the yearly Holi spring celebration where Hindus (and anyone else who likes to join) celebrate the arrival of spring. Yesterday spring was literally in the air and in my opinion a day that officially required sunglasses. So what do you do when you go outside? Take Forget your sunglasses. Oh well, today is another sunny day. The forecast of warm sunny days for the next six months makes me really cheerful. First of all, I am the kind of person who embraces hibernation in January and February. Especially when we have really cold winters. Secondly: I love those spring (and summer) retro looks. So keep that sun coming! When it comes to retro looks, I am a big fan of the tropical vintage style. The combination of extremely colorful and flowers as accessory also makes me cheerful because well…I like to have a lot of color in my life. Colorful clothes and colorful minds actually. But let’s stick to the colorful clothes today. As you may have guessed, the tropical vintage style was not born yesterday. So where did it come from? Or should I say from whom? Well, it’s a long story. Ready? Here it comes. It all started a long time ago, in 1914. In that year a little girl with French Lousianan roots was born, who listened to the name Mary Leta Dorothy Slaton. Unfortunately “They lived happily ever after” didn’t apply to her parents marriage, so they got divorced a few years after Dorothy’s birth. Her mother remarried to a gentleman named Clarence Lambour. Mary was a little bit different than most girls in those days. That applies to her looks and her career. She was a darkhaired beauty with long hair. 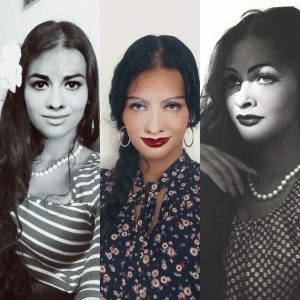 Wait, long hair in the 1920s and 1930s? Yes, indeed. In the decade where almost every woman cut her hair in a short bobline, there was Dorothy with her lovely long and dark hair. She stood out of the crowd in more than one way. Her first film was no success. In fact, she wasn’t even credited for her performance. 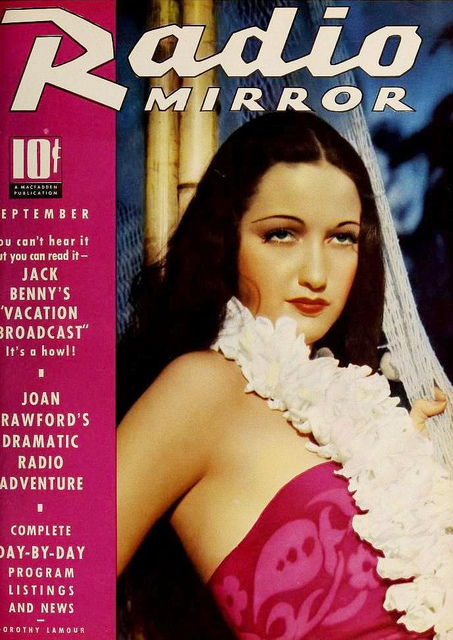 Her second film The Jungle Princess, would give her two things that she would keep forever: fame and the nickname Sarong Girl. Why? 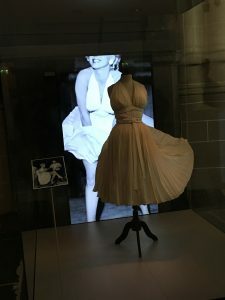 Throughout the movie she wore a sarong in native style designed by Edith Head (a popular costume designer, who won eight Academy Awards for Best Costume Designer). 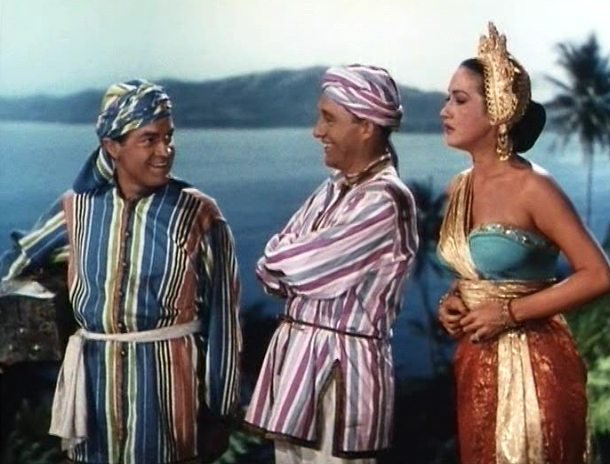 After this movie, Dorothy and the word sarong would always be mentioned in the same sentence. 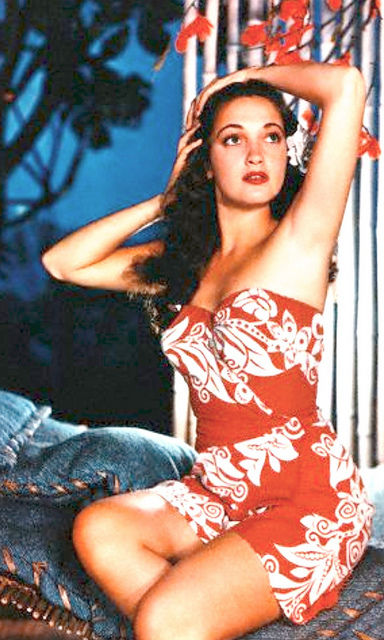 What is more, it is said that she even had her name on a Hawaiian styled clothing line. 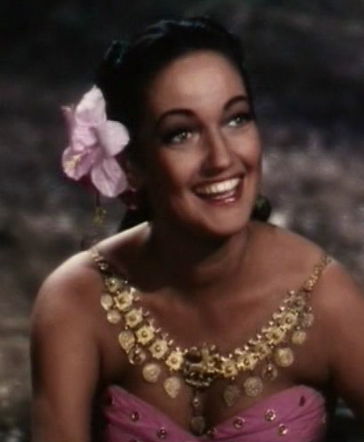 More importantly, that sarong dress inspired a total different style in (vintage) fashion wonderland. The Hawaiian tropical vintage style. Bold, colors, obvious patterns and ofcourse that flower in the hair are intrinsically linked to this tropical and cheerful vintage style. In the 1940s, Dorothy would make several Road to… movies with Bob Hope and Bing Crosby. During the WWII years, Dorothy was one of the many popular pinup girls. Besides her nickname, she is also remembered for her volunteering activities during WWII. 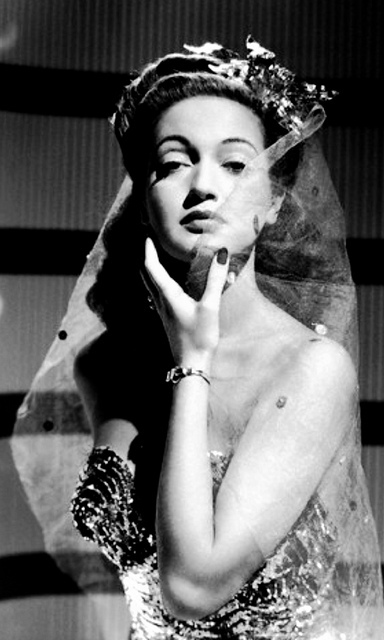 Her career started to fade out in the late 1940s. She was 40 and back then the age 40 meant: time to retire. 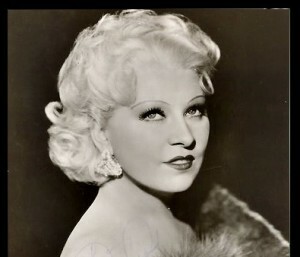 She started a career as stage actress and nightclub act and at later age she made several appearances in tv shows and movies. However, her vintage tropical style legacy (with a big thanks to Edith Head) lived on. It’s actually still alive and kicking in the present. If you are into clothing in retro style, you will keep a lot of webshops in your favorites. You will find the Hawaiian vintage look in almost every retro (web)shop. Spring and summer are great seasons to revive that retro tropical look. Looking for inspiration? Cheer up your closet and look back in history. The time has passed, but the colorful fashion of those days is timeless.